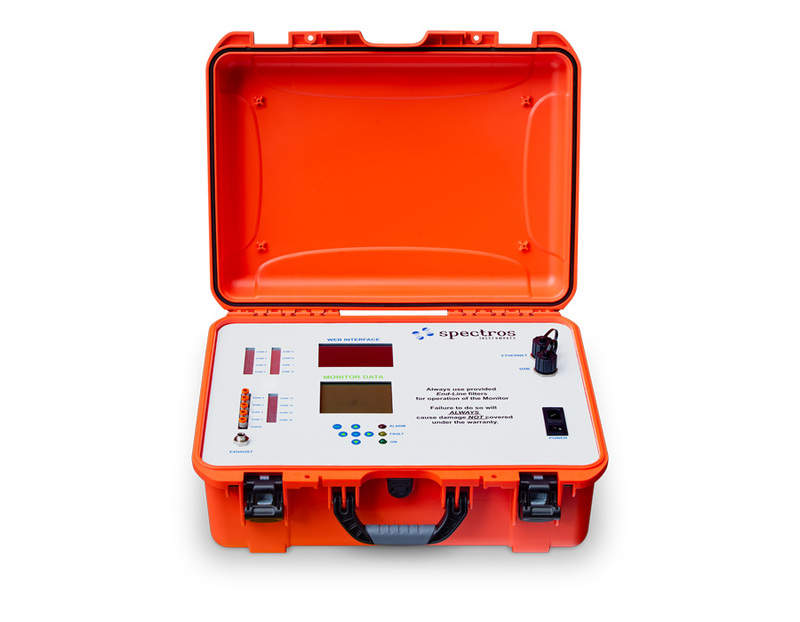 Spectros Instruments is the preferred choice for reliable structural and commodity fumigations. Multiple on-board sensors provide validated performance capabilities in accordance with a certified annual calibration verification. Modular component design allows for easy service. Proprietary wavelength-specific optical bandpass filters eliminate interfering gas response delivering optimized accuracy over extended concentration ranges. Integrated communication protocols: WiFi, 3G Cellular & Satellite, Ethernet, 4-20mA collect, transmit and archive mission-critical data in real-time worldwide. 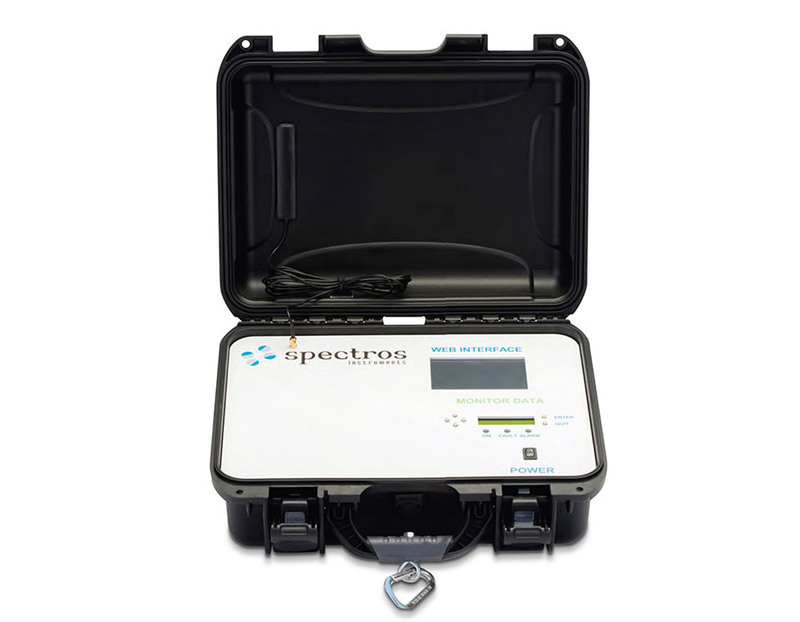 The Spectros Instruments Web Portal is a diversified sensor platform for measuring and warehousing fumigation gas concentrations, temperature, relative humidity data and more. System users can access status conditions and review data logs online through any web-enabled PC. Validated, 256-bit SSL Encrypted, Secure Data enabled via Amazon Web Services (AWS). The platform can read status from nearly unlimited numbers of digital or analog sensors including on/off status, open/closed conditions, temperatures, and real-time fumigation gas concentrations. Essentially limitless data logging including fumigation gas concentration, date, and time. An OPTIONAL relay output capable of low-voltage switching can trigger lights, sirens, or other devices when required. System LEDs display alarm status, power status, and internet connection strength. In the event of an alarm, the system can send alert notifications via e-mail and text message. Complimentary monitors and accessories for a full range of fumigation monitoring solutions. Cost effective carbon dioxide and ethylene gas detectors with integrated options for temperature or relative humidity provide complete profiles as needed in diverse fumigation requirements. 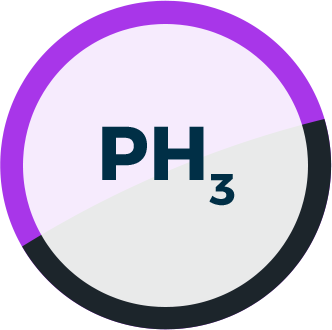 Handheld Phosphine Monitor for batch concentration readings during fumigation. 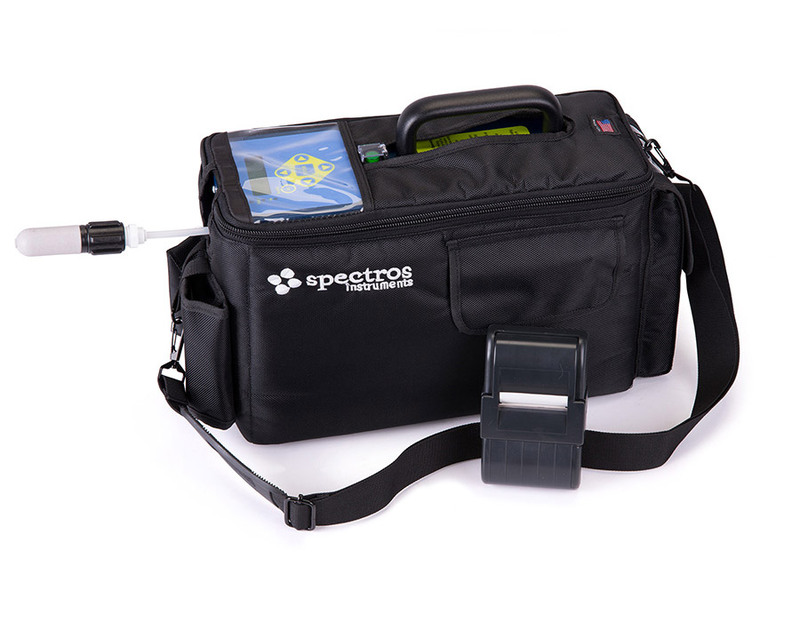 Portable Phosphine Monitor for remote web-based data collection. Weather-Resistant Pelican™ Case with integrated pump. Onboard data logging for over 1 million events with SSL secured upload of data to the Spectros Instruments Web Portal storage and reporting. 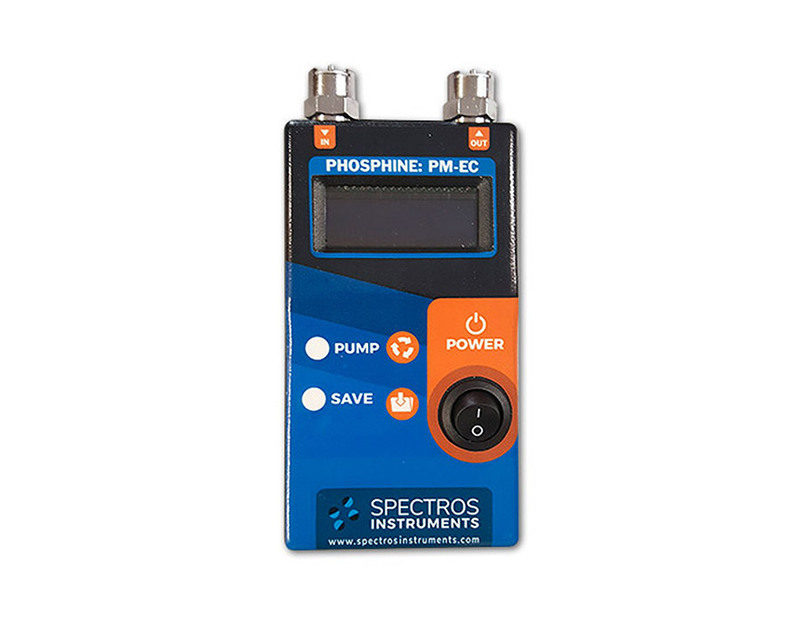 Multi-zone Phosphine Monitor for remote web-based data collection. 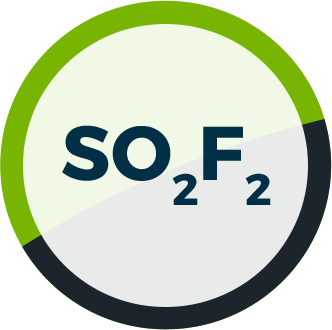 The approved industry standard for Sulfuryl Fluoride fumigation clearance readings. A portable monitor for Sulfuryl Fluoride concentration readings in structural and commodity fumigations. 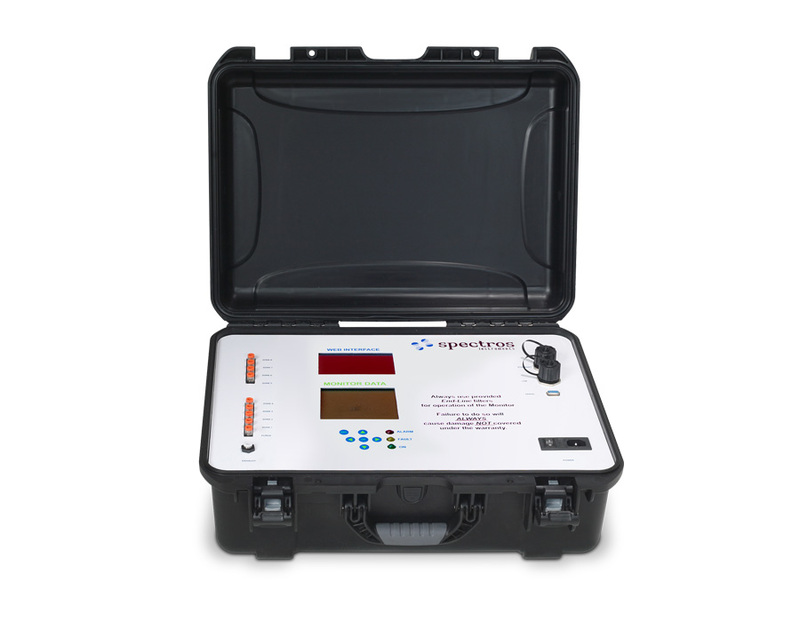 A battery-powered, portable monitor for Sulfuryl Fluoride concentration readings in structural and commodity fumigations. A Multi-zone Sulfuryl Fluoride Monitor for remote web-based data collection in structural and commodity fumigations. A battery-powered, portable monitor for Methyl Bromide concentration readings in commodity fumigations. United States Department of Agriculture (USDA) approved QPS fumigation treatment monitor. Rugged, reliable construction has shown a typical lifespan of 10 years plus. 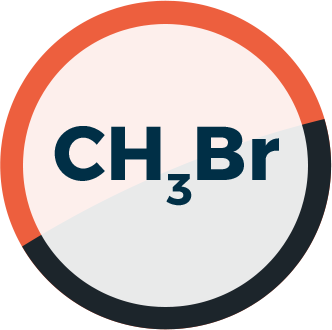 A Multi-zone Methyl Bromide Monitor for remote, web-based data collection in commodity fumigations. 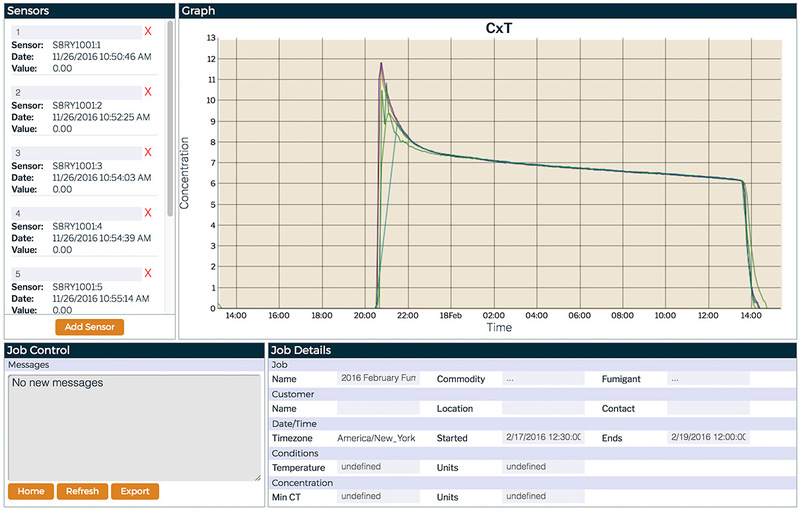 Integrated relative humidity (RH) & temperature (T) sensors measure grain moisture. Proprietary NDIR sensors indicate carbon dioxide (CO2) levels primarily from mold respiration. Calibrated temperature sensors with long-term stability and temperature-compensation logic provide accurate values via a standard I2C output. Sensor-level protection ensures greater stability. Integrated calibration and temperature-compensation logic gives readings via a standard I2C output. Sulfuryl fluoride fumigation, executed properly, offer 100% success in killing all stages of bed bugs. An integrated monitoring approach is key. Undetected leaks (called fugitive emissions) of fumigants are a source of pollution and concerns for bystander safety. Fixing these leaks can protect workers and nearby communities, reduce operating costs for companies, and assist regulators with implementing source emissions and air quality standards under the Clean Air Act. 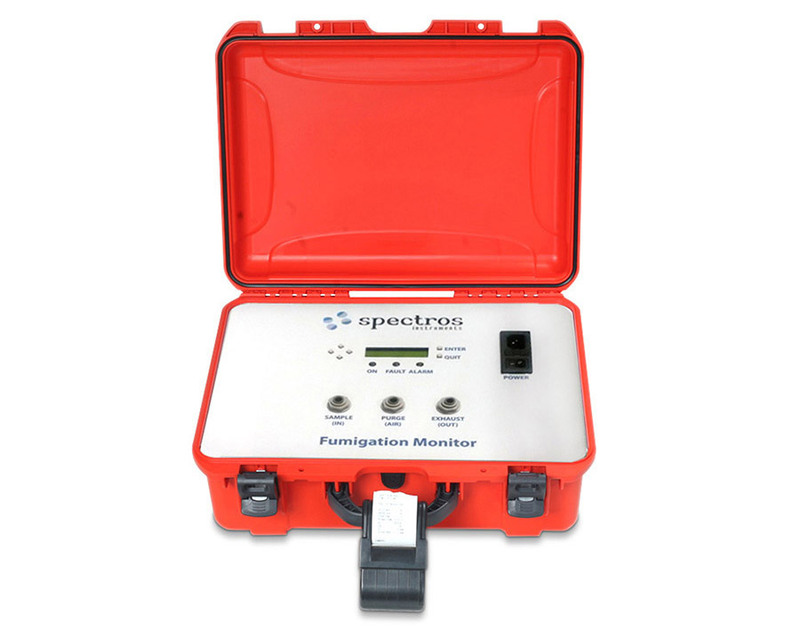 Unique hardware and firmware solutions, these optimized fumigation monitors provide continuous data analytics in demanding and remote applications. 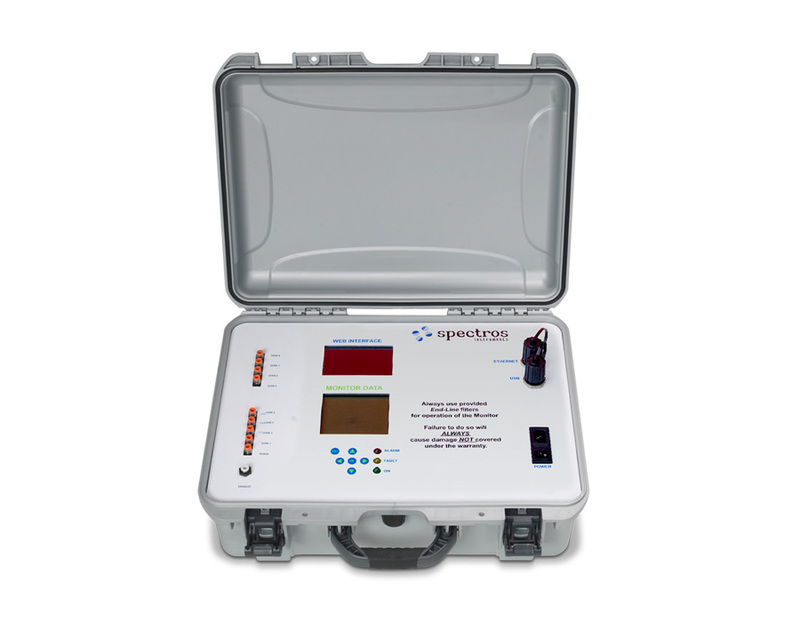 Integration to the Spectros Instruments Web Portal provides automatic data collection and archiving. 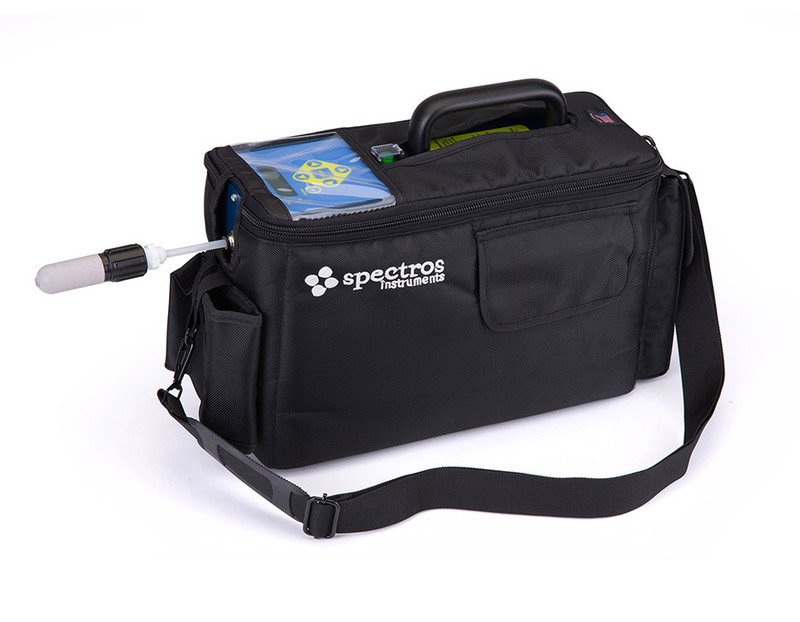 Beyond fumigation monitors and custom configurations, Spectros Instruments offers all the equipment you need to get more accurate, complete solutions. Provided with a hardwired thermocouple or K-type connector to support various thermocouple types and ranges. The sensor is programmed sampling intervals to transmit the data to the gateway. Integrated process controls with multi-level alerts and notifications. Monitor the relative humidity of the air within a fumigated enclosure.